White gold bracelet set with 404 brilliant-cut diamonds (2.46 carats). 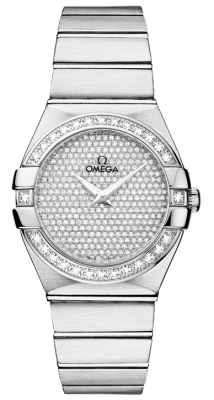 White gold bezel set with 52 brilliant-cut diamonds (0.26 carats). 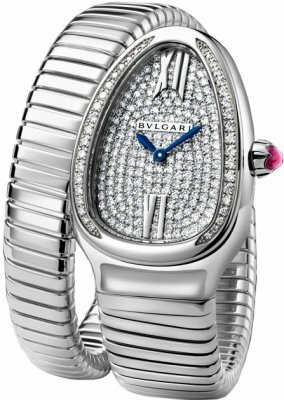 Pave dial set with 113 single-cut diamonds (0.37 carats) with silver-tone hands.